In this post I’d like to speculate on the problem of language education in Ukraine. Unfortunately we are a country with a vast majority of population that doesn’t speak English language. Some people studied it at school or at university but nevertheless most of ukrainians aren’t even able to tell a foreigner how to get somewhere in the street. With the approaching of EURO 2012 championship this issue gains vital importance. We have a beautiful country with huge touristic potential. There are so many places to visit in our country, so many traditions to show. But there is this permanent language barrier. Sadly but true. Are there any obstacles for ukrainians to master English language? I believe, yes. There are some. Firstly this is the cost of education. Language courses are many but for huge amount of people they are inaccessible because of high cost. Such courses may cost 1-2 monthly salaries for government empoyed people. Although those people will have to work with foreigners. Such situation concerns policemen, medics, public transport drivers. Secondly lack of state financed programmes on staff education. There were some news on this topic, but unfortunately nothing effective is undertaken yet. I hope something will change in this field because language issue is still very important. 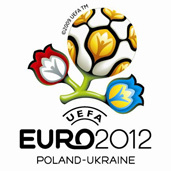 It is one of the things that must be settled until the EURO 2012. Andriyko, I agree with you. Ukrainians don’t speak English very well. But it’s a great honour for Ukrainians to represent their country. Thats why we try to show Ukraine as better as possible. For guests from other countries we prepare different excursions along the whole Ukraine. Our translators and interpreters, including volunteers, will try to help every person. I think that we will find “the common language” with each foreign guest. Hi! My name is Serhii. I`m a student. I offer an interpreter services for Euro 2012. My price is 8 euro\hour. My e-mail address is serhiy.l93@gmail.com . Feel free to ask any questions.